Hey guys! I disappeared on you again, I know. 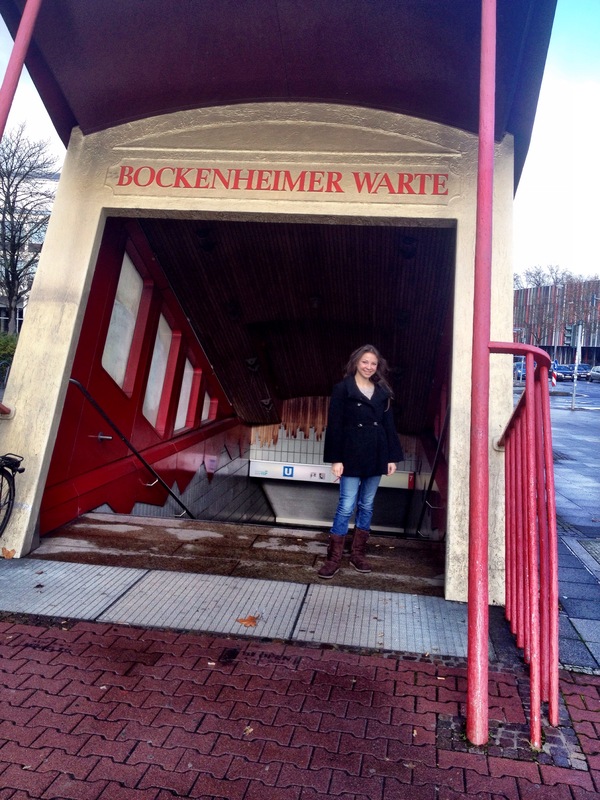 I went on a Thanksgiving vacation in Frankfurt Am Main! It was my first time in MainHattan (as the locals call it) and I fell in love! There’s gonna be a few posts about my experience and impressions from Frankfurt, Hanau and Weisbaden, including some must- visit spots, so be on the lookout for that! 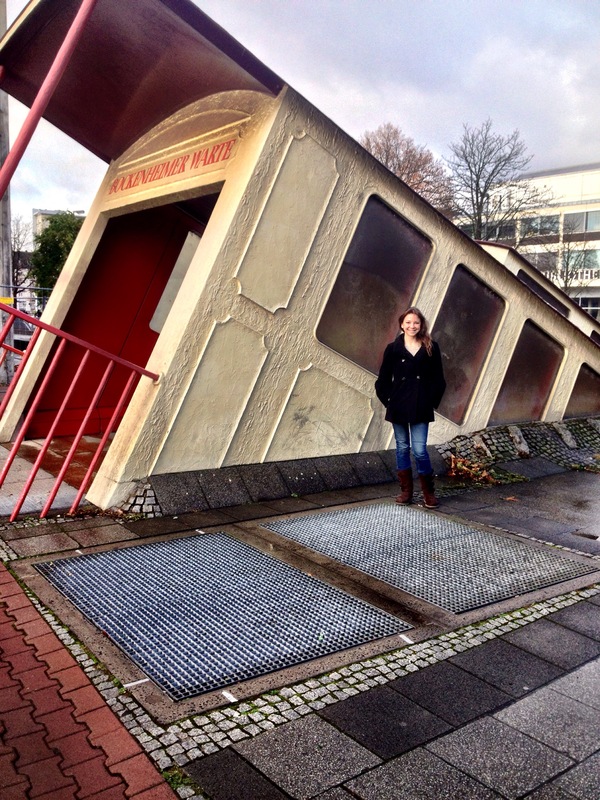 One of the locations I absolutely wanted to visit is the Bockenheimer Warte- the world’s coolest subway entrance, designed to look like a train crashed into the sidewalk! That was my very first stop in the city and it looks even cooler in real life! It’s also very convenient for a quick stop when you are entering Frankfurt with a car from the autobahn. Now the outfit 🙂 I knew I had a whole day of walking and sightseeing and considering it was the end of November, I had to make sure I’m comfortable and warm. My current favorite is the Jessica Simpson bell sleeve wool coat you see me rockin’ on the pictures. I paired it up with my trusted Gucci jeans and tall chocolate brown Bailey Button Ugg boots. I giggled every time I saw this sign!